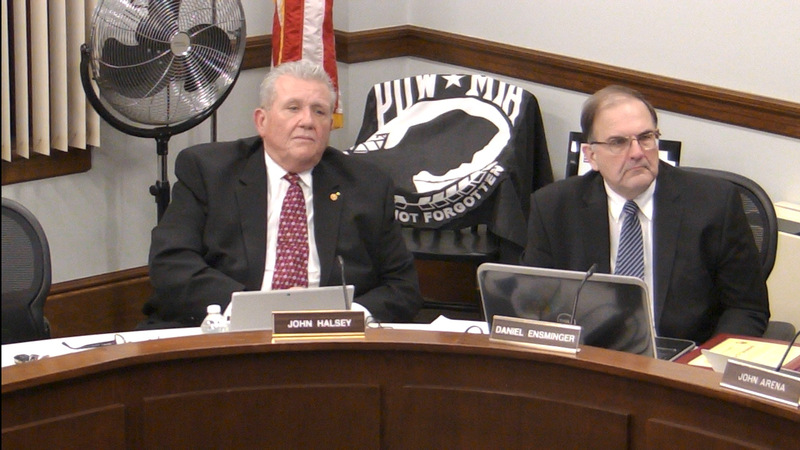 Reading, MA — The Board of Selectmen closed the warrant for April Town Meeting on February 27 at its regular meeting. 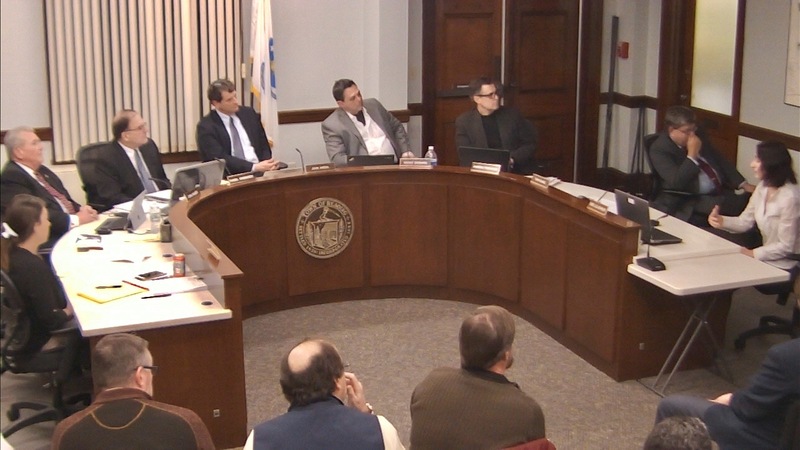 There are 18 articles on the warrant, including zoning bylaw changes, the Fiscal Year 2019 municipal and school department budget, and renaming the Board of Selectmen a more gender-neutral term. Selectman Daniel Ensminger asked to have his article regarding investigating the sale of the Reading Municipal Light Department (RMLD) removed from the warrant in light of a sense of renewed cooperation from the RMLD Board of Commissioners. The Board voted 5-0 to remove the article. The board also tweaked the language of the Proposition 2 1/2 override ballot question to include the specific numbers voted on the previous evening by the School Committee. The board had a lengthy discussion about its role in the upcoming override. After consultation with Town Counsel Ray Miyares, the board voted 5-0 to support the override. As a group, the selectmen plan to write a letter supporting the override to be submitted to local media outlets. The board also plans on participating in a community override information session, tentatively scheduled for March 28, in a rented, non-public facility. 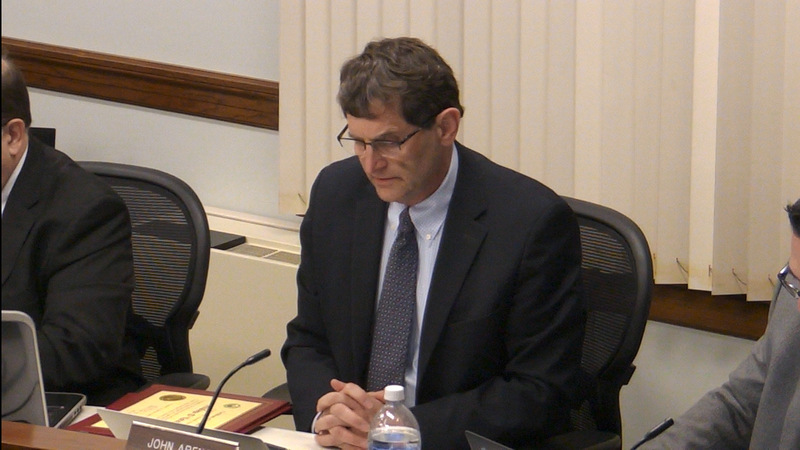 There was also a lengthy discussion regarding the revision of the Board of Selectmen policies. This was initiated when members of the public pointed out to the board that it was not following its own policies in regards to the election of a chair. A long discussion developed with Miyares over social media and public information act requirements. Miyares advised caution when posting to social media and commented that state laws had not kept up with changes in communication technology. A public hearing will be held before the new policies are adopted. 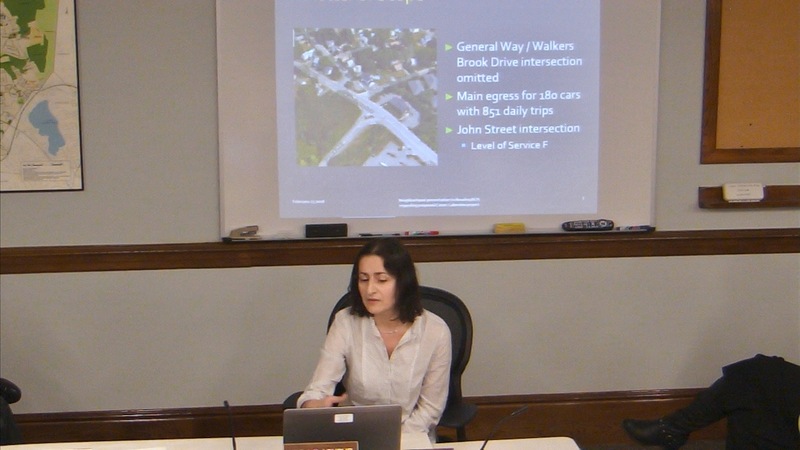 Eaton Street resident Boriana Milenova made a presentation on behalf of the residents of Eaton Street and Lakeview Avenue regarding the proposed 40B development in the neighborhood. The detailed presentation included concerns about the limitations of the traffic study done by the developer; questions about the “cookie cutter” design the project that “makes no attempt to fit into the neighborhood”; the size of the buildings compared with other homes in the area, and the lack of environmental concern the design exhibits. Milenova offered some ideas for improving the project, including a rain garden and design elements that she deemed more attractive. She also stated a desire to help the developer produce something more appropriate for the neighborhood. “We want an open and productive dialog to help improve the project.” Milenova stated. Town Manager Robert LeLacheur informed the residents and the selectmen that the developer has already expressed an interest in extending the project date. 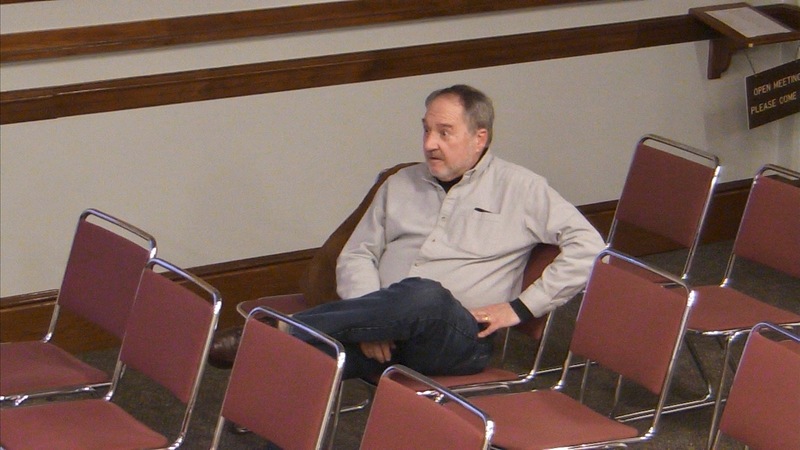 He also indicated a desire to hear what the residents have to say, possibly at a Zoning Board of Appeals meeting. Several board members praised the residents for seeking to work with a developer instead of just saying “no.” “It is clear that you have put in a level of work we rarely see in these situations.” Chair John Arena commented. The board also reviewed water and sewer rates for FY19, they voted 5-0 to extend the Climate Advisory Committee’s sunset date to June 30, 2019, and approved the non-union classification and compensation plan by a vote of 5-0. 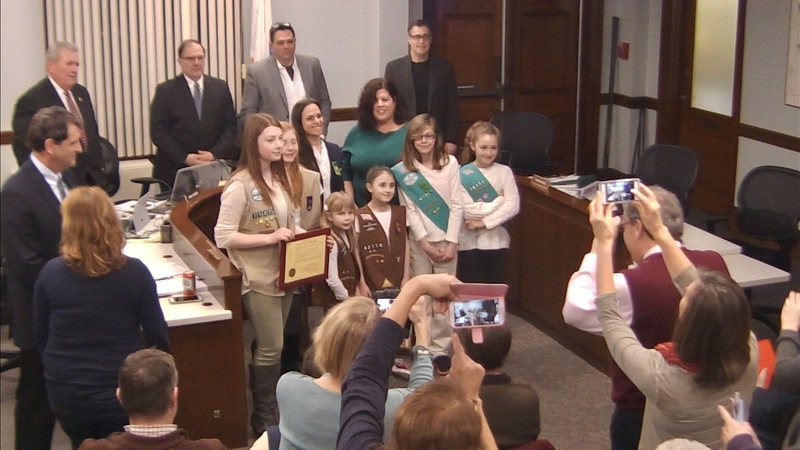 March 10 was proclaimed Girls Scout Day in Reading in celebration of the organization’s 100-year history in town, and Arena was appointed to the RMLD Sub-committee. LeLacheur also reported that the Massachusetts Department of Transportation “came into some money” and has $4 million to pave Route 28 in Reading that it has to use by October. “Route 28 will be repaved this summer.” LeLacheur proclaimed. The meeting adjourned at 11:09pm.